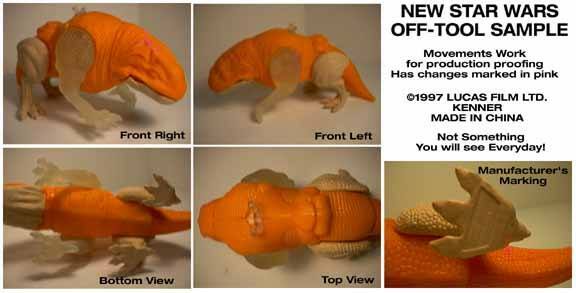 Here are several views of a sample first shot Patrol Dewback for Kenner's 1997 Beast Assortment packs. Like many first shots, it is molded in odd colors. Unlike many first shots though, it does have the copyright dates on the bottom of the foot which means it was pretty far along in the produciton process. A very neat piece indeed!